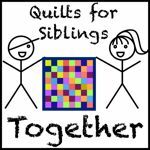 It’s nearly time for FQ Retreat and the chance to hand over quilts to the Siblings Together charity. 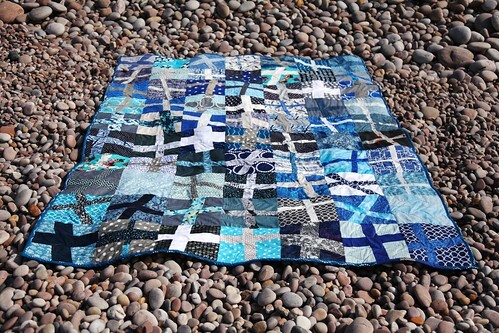 Sadly I won’t be there this year so there will be a box of 6 quilts leaving Exeter shortly to go straight to the offices of Siblings Together. 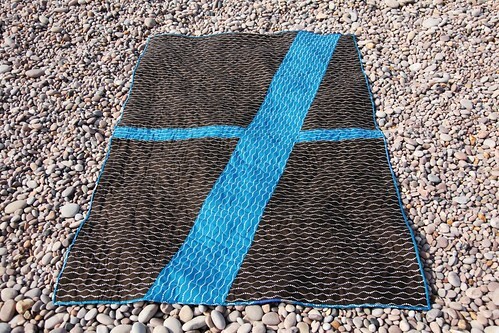 It may look very similar to one I shared just the other week, and indeed it is similar in size and block design and some fabrics. 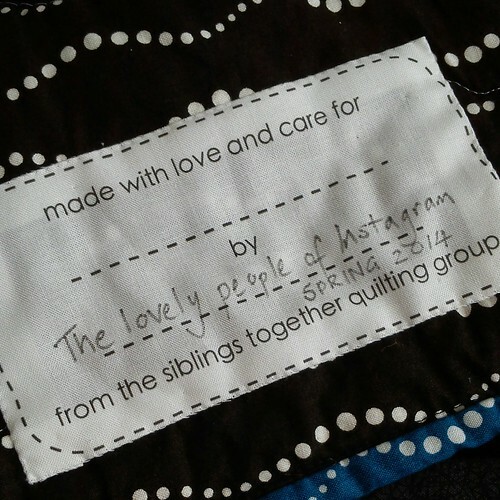 The other similarity is that the blocks were made by lovely quilters of Instagram and Flickr. Yes, again I pieced the back as a wonky cross, using the bargain £3 per yard Bike Path from Fabric Guild I also used it to bind the quilt along with some fabric pieces that came with blocks. I machine sewed the binding on for durability and strength and speed might also have been a factor in my decision making. If you need a label for a quilt please see the info on flickr here. It’s been a pleasure to be involved in this project again, thanks for all your support. Fabric: a wide variety from stashes in the UK and Europe! Another fab quilt Mary. Your machine binding looks awesome! It’s another beauty! Well done to you lovely ladies for doing all the hard work and turning the blocks into fantastic quilts and that wonky cross backing is a genius! 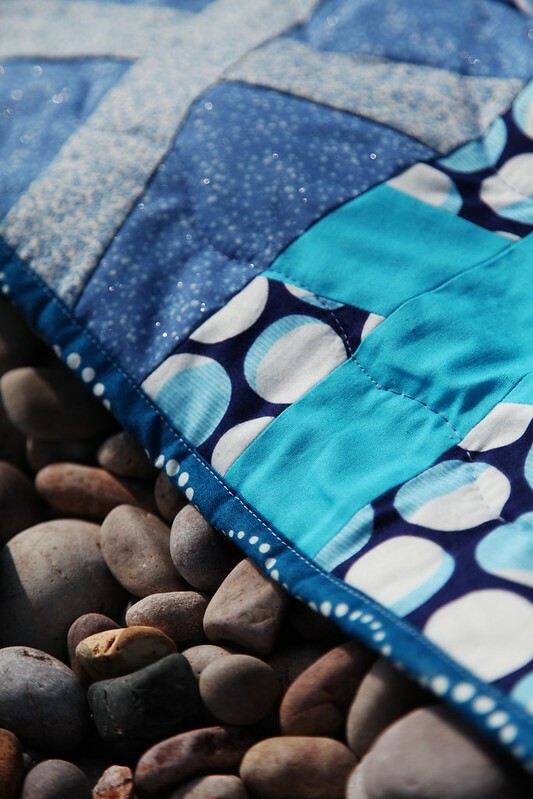 Lovely photo shoot to show off this great quilt. I’m not going to fq retreat either. I’m only consoling myself by the fact so many other lovely people I already go aren’t going either! I just love those wonky cross blocks. This turned out so wonderful. 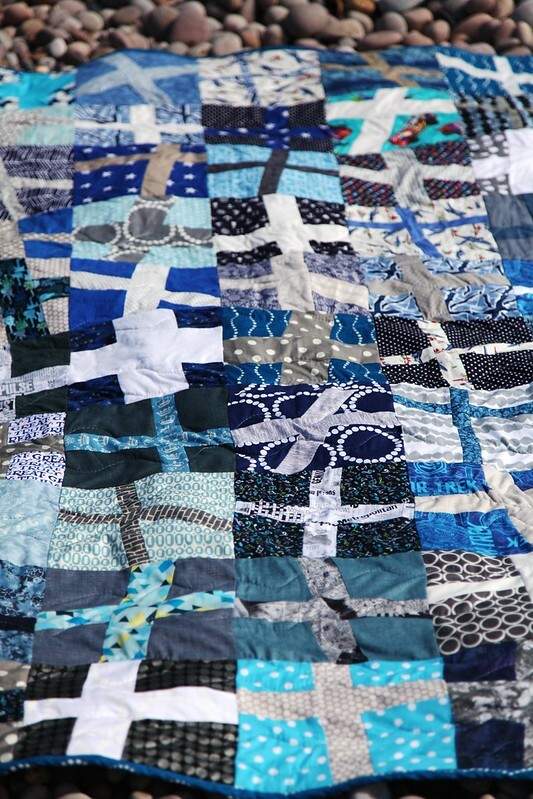 Thanks so much for donating this wonderful quilt. 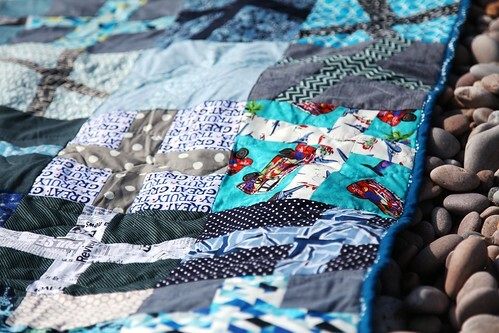 I’d really appreciate if you could mention 100 Quilts for Kids in the post to help spread the word about the event! Gorgeous and wonderful, every single detail!